When we see a young prince, the darling of his family and country, sacrifice nobility, sovereignty, riches, and pleasures, the more easily to secure the treasure of divine love, and of eternal happiness, how ought we to condemn our own sloth, who live as if heaven were to cost us nothing! 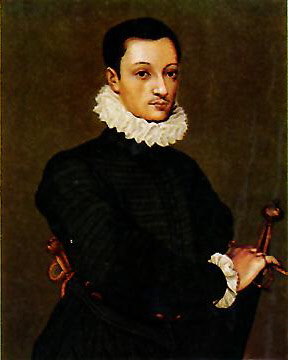 Aloysius Gonzaga was son of Ferdinand Gonzaga, prince of the holy empire, and marquis of Castiglione, removed in the third degree of kindred from the duke of Mantua. His mother was Martha Tana Santena, daughter of Tanus Santena, lord of Cherry, in Piedmont. She was lady of honor to Isabel, the wife of Philip II of Spain, in whose court the marquis Gonzaga also lived in great favor. When she understood this nobleman had asked her in marriage both of the king and queen, and of her friends in Italy, being a lady of remarkable piety, she spent her time in fasting and prayer in order to learn the will of heaven, and to draw down upon herself the divine blessing. The marriage was solemnized in the most devout manner, the parties at the same time performing their devotions for the jubilee. 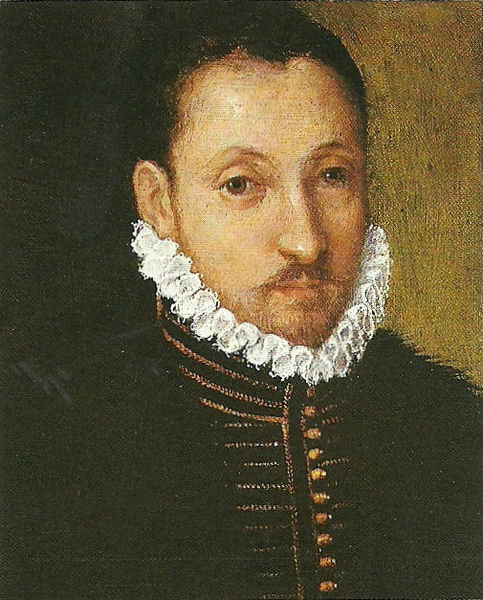 Ferrante Gonzaga (1544-1586), father of St. Aloysius Gonzaga. When they left the court and returned into Italy, the marquis was declared chamberlain to his majesty, and general of part of the army in Lombardy, with a grant of several estates. The marchioness made it her earnest petition to God that he would bless her with a son, who should devote himself entirely to his love and service. diocese of Brescia, on the 9th of March, 1568. William Duke of Mantua stood godfather, and gave him the name of Aloysius. The holy names of Jesus and Mary, with the sign of the cross and part of the catechism, were the first words which his devout mother taught him as soon as he was able to speak; and from her example and repeated instructions the deepest sentiments of religion, and the fear of God were impressed upon his tender soul. Even in his infancy he showed an extraordinary tenderness for the poor; and such was his devotion that he frequently hid himself in corners, where after long search he was always found at his prayers, in which so amiable was his piety, and so heavenly did his recollection appear, that he seemed to resemble an angel clothed with a human body. His father designing to train him up to the army, in order to give him an inclination to that state, furnished him with little guns, and other weapons, took him to Casal to show him a muster of three thousand Italian foot, and was much delighted to see him carry a little pike, and walk before the ranks. The child staid there some months, during which time he learned from the officers certain unbecoming words, the meaning of which he did not understand, not being then seven years old. But his tutor hearing him use bad words, chide him for it, and from that time he could never bear the company of any persons who in his hearing ever profaned the holy name of God. This offense, though excusable by his want of age and knowledge, was to him during his whole life a subject of perpetual humiliation, and he never ceased to bewail and accuse himself of it with extreme confusion and compunction. Entering the seventh year of his age he began to conceive greater sentiments of piety, and from that time he used to date his conversion to God. At that age, being come back to Castiglione, he began to recite every day the office of our Lady, the seven penitential psalms, and other prayers, which he always said on his knees, and without a cushion; a custom which he observed all his life. Cardinal Bellarmine, three other confessors, and all who were best acquainted with his interior, declared after his death their firm persuasion, that he had never offended God mortally in his whole life. He was sick of an ague at Castiglione eighteen months; yet never omitted his task of daily prayers, though he sometimes desired some of his servants to recite them with him. When he was recovered, being now eight years old, his father placed him and his younger brother Ralph, in the polite court of his good friend, Francis of Medicis, grand duke of Tuscany, that they might learn the Latin and Tuscan languages, and other exercises suitable to their rank. At Florence the saint made such progress in the science of the saints, that he afterwards used to call that city the mother of his piety. His devotion to the Blessed Virgin was much inflamed by reading a little book of Gaspar Loartes on the mysteries of the Rosary. He at the same time conceived a great esteem for the virtue of holy chastity; and he received of God so perfect a gift of the same, that in his whole life he never felt the least temptation either in mind or body against purity, as Jerom Platus and Cardinal Bellarmine assure us from his own mouth. The two young princes had staid there a little more than two years, when their father removed them to Mantua, and placed them in the court of the Duke William Gonzaga, who had made him governor of Montserrat. 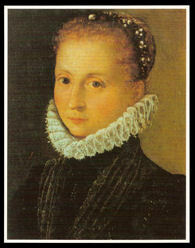 Aloysius left Florence in November, 1579, when he was eleven years and eight months old. He at that time took a resolution to resign to his brother Ralph his title to the marquisate at Castiglione, though he had already received the investiture from the emperor. And the ambitious or covetous man is not more greedy of honors or riches than this young prince from a better principle appeared desirous to see himself totally disengaged from the ties of the world, by entirely renouncing its false pleasures, which begin with uneasiness, and terminate in remorse, and are no better than real pains covered over with a bewitching varnish. He knew the true delights which virtue brings, which are solid without alloy, and capable of filling the capacity of man’s heart; and these he thirsted after. In the mean time he fell sick of an obstinate retention of urine, of which distemper he cured himself only by the rigorous rules of abstinence which he observed. He took the opportunity of this indisposition to rid himself more than ever of company and business, seldom going abroad, and spending most of his time in reading Surius’s Lives of Saints, and other books of piety and devotion. It being the custom in Italy and other hot climates to pass the summer months in the country, the marquis sent for his sons from Mantua to Castiglione in that season. Aloysius pursued the same exercises, and the same manner of life in the town, at court, and in the country. The servants who watched him in his chamber saw him employed in prayer many hours together, sometimes prostrate on the ground before a crucifix, or standing up, absorbed in God so as to appear in an ecstasy. When he went down stairs they took notice that at every standing place he said a Hail Mary. It was in this retirement that his mind was exceedingly enlightened by God, and without the help of any instructor he received an extraordinary gift of mental prayer, to which his great purity of heart and sincere humility disposed his soul. He sometimes passed whole days in contemplating, with inexpressible sweetness and devotion, the admirable dispensations of divine providence in the great mysteries of our redemption, especially the infinite goodness and love of God, his mercy, and other attributes. In this exercise he was not able to contain the spiritual joy of his soul in considering the greatness and goodness of his God, nor to moderate his tears. Falling at last on a little book of father Canisius, which treated of Meditation, and on certain letters of the Jesuit missionaries in the Indies, he felt a strong inclination to enter the Society of Jesus, and was inflamed with an ardent zeal for the salvation of souls. He began even then to frequent the schools of Christian Doctrine, and to encourage other boys, especially among the poor, in learning their catechism, and often instructed them himself. So excellently did he then discourse of God as astonished grown persons of learning and abilities. It happened that in 1580, St. Charles Borromeo came to Brescia in quality of apostolic visitor, and preached there on the feast of Mary Magdalen. No importunities of the marquis or other princes could prevail upon that great saint to visit them at their country seats, or to take up his lodging any where but with the clergy of the churches where he came. 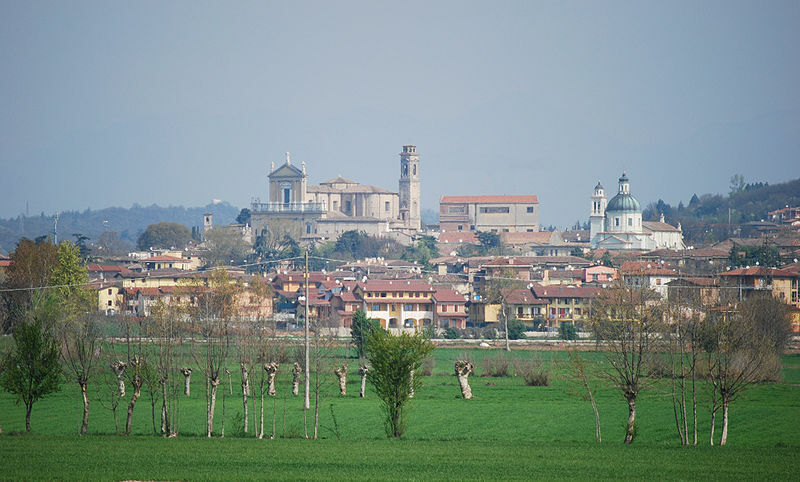 Wherefore Aloysius, being only twelve years old, went to Brescia to receive his blessing. It is incredible how much the good cardinal was taken with the piety and generous sentiments of the young prince. But finding that he had never yet received the holy communion, he exhorted him to prepare himself for that divine sacrament, and to receive it very frequently; prescribing him rules for his devout preparation, and with regard to many other practices of piety; all which the holy youth constantly observed, remembering ever after with wonderful joy the happiness of having seen so great a saint. He from that time conceived so tender a devotion to the Blessed Eucharist, that in hearing mass, after the consecration, he often melted into tears, in profound sentiments of love and adoration; and he frequently received wonderful favors in communicating; and this holy sacrament became his greatest comfort and joy. The marquis after this carried his whole family to Casal, the residence of his government of Montserrat. There the saint made the convents of the Capuchins and Barnabites the usual places of his resort. He fasted three days a week, Fridays at least, on bread and water, boiled together for his whole dinner; his collation was a little piece of dry bread. On other days his meals were so slender that his life seemed almost a miracle. He secretly thrust a board into his bed to rest on in the night, and rose at midnight to pray even in the coldest season of winter, which is very sharp under the Alps. He spent an hour after rising, and two hours before going to bed in private prayer. 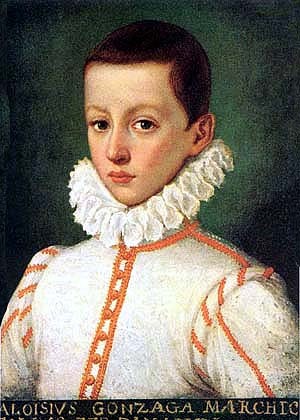 St. Aloysius was a page for Diego Félix of Austria, Infante of Spain (1575 – 1582). 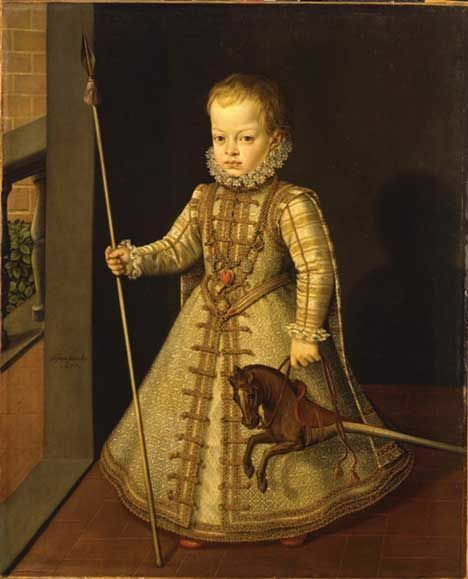 In 1581 his father attended the empress Mary of Austria, wife to Maximilian II and sister to Philip II of Spain, in her journey from Bohemia to Spain, and took with him his three children; a daughter named Isabel who died in Spain, and his two sons who were both made by king Philip pages to his son James, elder brother to Philip III. Aloysius was then thirteen years and a half old. He continued his studies, but never neglected his long meditations and devotions, which he often performed by stealth in secret corners. Though he every day waited on the infant of Spain, James, to pay his duty to the empress, he never once looked on the face of that princess, or took notice of her person; and so great was his guard over all his senses, and so universal his spirit of mortification, that it was a proverb at court, that the young marquis of Castiglione seemed not to be made of flesh and blood. Whilst he remained in Spain he found great pleasure and benefit in reading Lewis of Granada’s excellent book on Mental Prayer. He prescribed himself a daily task of an hour’s meditation, which he often prolonged to three, four, or five hours. He at length determined to enter into the Society of Jesus in order to devote himself to the instructing and conducting souls to God; and he was confirmed in this resolution by his confessor, who was one of that Order. When he disclosed it to his parents his mother rejoiced exceedingly; but his father, in excessive grief and rage, said he would have him scourged naked. “O that it would please God,” modestly replied the holy youth, “to grant me so great a favor as to suffer that for his love.” What heightened the father’s indignation was a suspicion that this was a contrivance on account of his custom of gaming, by which he had lately lost six hundred crowns in one evening; a vice which his son bitterly deplored, not so much, as he used to say, for the loss of the money, as for the injury done to God. However, the consent of the marquis was at length extorted through the mediation of friends. Saint Aloysius Gonzaga at age 17. Spain returned to Italy, in July, 1584, on board the galleys of the famous John Andrew Doria, whom his Catholic majesty had lately appointed admiral. His brother traveled in rich apparel, but the saint in a suit of black Flanders serge. In his journey he either conversed on holy things, or entertained himself secretly in his heart with God. As soon as he came to an inn he sought some private little chamber, and fell to prayer on his knees. In visiting religious houses he went first to the church, and prayed some time before the blessed sacrament. When he had arrived at Castiglione he had new assaults to bear, from the eloquence and authority of a cardinal, many bishops, and eminent men, employed by the duke of Mantua and his own uncles; yet he remained firm, and brought over some of these ambassadors to his side, so that they pleaded in his favor. But his father flew back from his consent, loaded his son with opprobrious language, and employed him in many distracting secular commissions. The saint had recourse to God by prostrating himself before a crucifix, and redoubling his severities; till the marquis, no longer able to oppose his design, cordially embraced him, and recommended him to Claudius Aquaviva, general of the Society, who appointed Rome for the place of his novitiate. The father repented again of his consent, and detained his son nine months at Milan, during which time he used the most tender entreaties, and every other method to bring him from his purpose. He again removed him to Mantua, and thence to Castiglione; but finding his resolution invincible, left him at liberty, saying to him: “Dear son, your choice is a deep wound in my heart. I ever loved you, as you always deserved. In you I had founded the hopes of my family; but you tell me God calls you another way. Go, therefore, in his name whither you please, and may his blessing every where attend you.” Aloysius having thanked him, withdrew, that he might not increase his grief by his presence, and betook himself to his prayers. His cession of the marquisate to his brother Ralph, with the reserve of two thousand crowns in ready money, and four hundred crowns a year for life, was ratified by the emperor, and the writings were delivered at Mantua, in November, 1585. The excessive grief and tears of his subjects and vassals at his departure only drew from him these words: “That he sought nothing but the salvation of his soul, and exhorted them all to the same.” Arriving at Rome he visited the churches and chief places of devotion, then kissed the feet of Pope Sixtus V and entered his novitiate at St. Andrew’s, on the 25th of November, 1585, not being completely eighteen years old. Being conducted to his cell, he entered it as a celestial paradise, in which he was to have no other employment than that of praising God without interruption; and exulting in his heart, he repeated with the prophet, This is my rest for ever: here will I dwell, for I have chosen it. The saint in his noviceship condemned himself as guilty of sloth if he did not in every religious duty surpass in fervor all his companions; he respected them all, and he behaved himself towards them as if he had been the last person in the family, and indeed such he always reputed himself. He loved and rejoiced most in the meanest and most contemptible employments. His mortifications though great, were not so severe as he had practiced in the world, because limited by obedience which gave a merit to all his actions. He used to say that a religious state in this resembles a ship, in which they sail as fast who sit idle as they who sweat at the oar in rowing. Yet such was the general mortification of his senses, that he seemed totally inattentive to exterior things, only inasmuch as they regarded God. He never took notice of the difference of villas where he had been, the order of the refectory, in which he every day ate, or the rich ornaments of the chapels and altars where he prayed. He seemed entirely inattentive to the taste of what he ate, only he endeavored to avoid whatever seemed savory. He never listened to reports or to discourse about worldly matters: spoke very little, and never about himself, thinking himself justly deserving to be forgotten by the whole world, and to be made no account of in every thing. He was a capital enemy to any artifice or dissimulation, which he called the bane and canker of Christian simplicity. Nothing gave him so much mortification as the least marks of honor or distinction. It was his delight to carry a wallet through the streets of Rome, begging from door to door, to serve the poor and the hospitals, or to sweep the kitchen, and carry away the filth; in which actions he usually had before his eyes Christ humbled for us. Claudio Acquaviva, S.J., 5th Superior General of the Society of Jesus. On holidays he used to catechize the children of the poor laborers. He changed his new gilt breviary for an old one, and after did so in his habit and other things. His whole life seemed a continued prayer, and he called holy meditation the short way to Christian perfection. He found in that exercise the greatest spiritual delights, and remained in it on his knees, as if he were motionless, in a posture of wonderful recollection and respect. It is not possible to describe the sweet raptures and abundant tears which often accompanied his devotion, especially in presence of the Blessed Eucharist, and after communicating. He spent the three first days after communion in thanksgiving for that inestimable favor; and the three following in languishing aspirations and desires to receive on the Sunday his Savior, his God, his Physician, his King, and his Spouse: on the eve of his communion his mind was wholly taken up with the dignity, infinite importance and advantages of that great action, nor could he speak of any thing else. Such was the fire of his words whenever he spoke on that mystery of love, that it inflamed all who heard him. He made every day at least four regular visits to pray before the blessed sacrament. The passion of Christ was also a most tender object of his devotion. From his infancy he had chosen the Blessed Virgin for his special patroness and advocate. He had a singular devotion to the holy angels, especially his angel guardian. In the beginning of his noviceship he was tried by an extreme spiritual dryness and interior desolation of soul; which served perfectly to purify his heart, and was succeeded by the greatest heavenly consolations. He bore the pious death of his father with unshaken constancy, because he considered it and all other events purely in the view of the divine will and providence. It happened six weeks after Aloysius had taken the habit. From the day on which his son had left him to enter the Society, the marquis had entirely devoted himself to the practice of perfect virtue and penance. 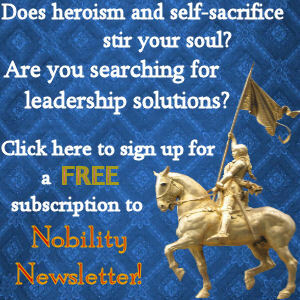 Humility and obedience were the young novice’s favorite virtues, and by them he gained a perfect mastery over himself. To appear poor, little, and contemptible was his delight, and he rejoiced to see the last and worst portion in any thing fall to his share. He was never known guilty of the least transgression of the rule of silence or any other; and feared to arrive one moment too late at any duty. He would not without the leave of his master speak one word even to his kinsman cardinal Roborei; nor would he ever stay with him so long as to fail one minute in any rule. It happened that the pious and learned Jerom Flatus, whilst he was his master of novices, thinking his perpetual application to prayer and study prejudicial to his health, ordered him to spend in conversing with others after dinner, not only the hour allotted for all, but also the half hour longer which is allowed to those who dined at the second table. Father minister not knowing this order punished him for it, and obliged him publicly to confess his fault; which he underwent without offering any excuse. The minister learning afterwards how the matter was, admired very much his silence, but for his greater merit enjoined him another penalty for not telling him the order of his master. The saint bore in silence and joy the imputation and chastisement of the faults of any others, because this afforded him an opportunity of exercising patience, meekness, and humility. By a habit of continual application of his mind to God, attention at prayer seemed so easy and natural to him that he told his superior, who put to him that question, that if all the involuntary distractions at his devotions during six months were joined together, they would not amount to the space of one Hail Mary. His health decaying, he was forbidden to meditate or pray, except at regular times. This he found the hardest task of his whole life; so great a struggle did it cost him to resist the impulse with which his heart was carried towards God. For the recovery of his health he was sent to Naples, where he staid half a year, and then returned to Rome. In that city, after completing his novitiate of two years, he made his religious vows on the 20th of November, 1587, and soon after received minor orders. Stained glass window in Ravensburg. Aloysius had finished his logic whilst a page in the Spanish court, and his course of natural philosophy during his nine months’ stay at Milan. After this he commenced student in divinity under Gabriel Vasquez, and other celebrated professors. But a family contest obliged him to interrupt his studies. His uncle, Horatius Gonzaga, died without issue, and bequeathed by will his estate of Sulphurino to the duke of Mantua. Ralph, the saint’s brother, pleaded that the donation was invalid, the estate being a fief of the empire, which inalienably devolves on the next heir in blood, and he obtained a rescript of the emperor Maximilian in his favor. But the duke refused to acquiesce in this sentence; and the archduke Ferdinand and several other princes had in vain attempted to reconcile the two cousins. At length St. Aloysius was sent for to be the mediator of peace. He had then just finished his second year of divinity, and was at the Jesuits’ villa at Frascati during the vacation, when Father Robert Bellarmine brought him an order from the general to repair to Mantua about this affair. A discreet lay-brother was appointed to be his companion, to whom a charge was given to take care of his health, with an order to Aloysius to obey him as to that particular. Most edifying were the examples of his profound humility, mortification, love of poverty, and devotion, and incredible the fruits of his zeal both on the road, and at Mantua, Castiglione, and other places where he went. Though both parties were exceedingly exasperated, no sooner did this angel of peace appear than they were perfectly reconciled. The duke, though before much incensed, was entirely disarmed by the sight and moving discourse of the saint; he readily pardoned, and yielded up the estate to the marquis, who as easily consented to bury in oblivion all that had passed, and the two cousins made a sincere and strict alliance and friendship together. Many others who were at variance, or at law, were in the same manner made friends by the means of the saint’s friendly interposing. No enmity seemed able to withstand the spirit of meekness and charity which his words and whole deportment breathed. Great numbers were by him converted from sinful habits, and many brought to a profession of perfect virtue. His brother Ralph had fallen in love with a young gentlewoman, much inferior to him in birth, and had secretly married her before private witnesses, but durst not publish his marriage for fear of offending his uncle Alphonsus Gonzaga, lord of Castle-Godfrey, whose heir he was to be. The saint represented to him that by such a conduct, notwithstanding his precaution, he offended God by the scandal he gave to his subjects and others, who looked upon his behavior as criminal. He moreover, undertook to satisfy his uncle, mother, and other friends, and thus engaged him publicly to declare his marriage, and the uncle, and others, through the saint’s mediation, took no offense at the alliance. Aloysius having happily restored peace among all his relations, and settled them in the practice of true virtue, by the direction of his superiors went to Milan on the 22d of March, 1590, there to pursue his theological studies. These he accompanied with his usual exercises of devotion, and all virtues, especially humility, to nourish and improve which in his heart, he embraced every kind of humiliation. He often begged to serve in the kitchen and refectory, and it was his delight to draw water for the cook, wash the dishes, cover the table, or sweep the scullery. Whilst he was at Milan one day in his morning prayer he was favored with a revelation, that he had only a short time to live. By this heavenly visitation he found his mind wonderfully changed, and more than ever weaned from all transitory things. This favor he afterwards disclosed at Rome, in great simplicity, to F. Vincent Bruno and others. The general would not suffer him to finish his studies at Milan, but recalled him to Rome in November the same year, to perform there the fourth or last year of his theological course. The saint chose a dark and very small chamber over the staircase in the garret, with one window in the roof; nor had he in it any other furniture than a poor bed, a wooden chair, and a little stool to lay his books upon. He appeared even in the schools and cloisters quite absorbed in God, and often at table, or with his companions at recreation time after dinner, he fell into ecstasies, and appeared unable to contain the excessive heavenly joy with which his soul overflowed. He frequently spoke in raptures on the happiness of dying, the more speedily to enjoy God. In 1591 an epidemical distemper swept off great multitudes in Rome. In this public distress the fathers of the society erected a new hospital, in which the general himself, with other assistants, served the sick. Aloysius obtained by earnest entreaties to be one of this number. He catechized and exhorted the poor patients, washed their feet, made their beds, changed their clothes, and performed with wonderful assiduity and tenderness the most painful and loathsome offices of the hospital. The distemper being pestilential and contagious, several of these fathers died martyrs of charity, and Aloysius fell sick. It was on the 3d of March, 1591, that he took to his bed: at which time he was overwhelmed with excessive joy at the thought that he was called to go to his God. This joy gave him afterwards a scruple whether it was not immoderate. But his confessor, who was the famous cardinal Bellarmine, comforted him, saying: that it is not an unusual grace to desire death, not out of impatience, but to be united to God. 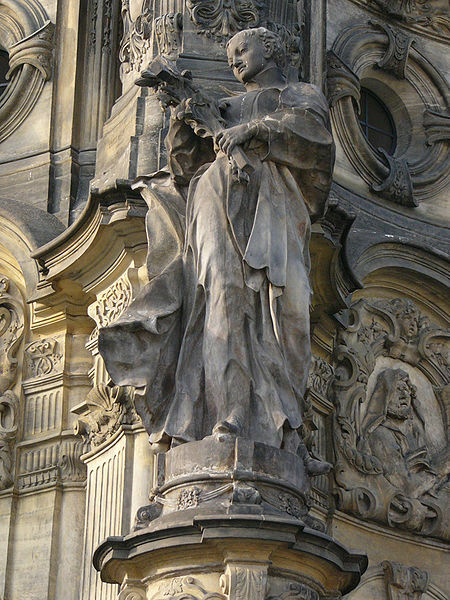 Statue of Saint Aloysius Gonzaga on the Holy Trinity Column in Olomouc (Czech Republic). He said every evening the seven penitential psalms with another person in great compunction. On the Octave day, he seemed better, and the rector had thoughts of sending him to Frascati. But he repeated still that he should die before next morning, and he received the viaticum and extreme-unction. At night he was thought to be in no immediate danger, and was left with two brothers to watch by him. These about midnight perceived on a sudden by a wanness and violent sweat with which he was seized, that he was falling into his agony. His most usual aspirations during his illness were the ardent languishings of a soul aspiring to God, extracted from the psalms. After saying: “Lord, into thy hands I commend my spirit,” he frequently repeated the holy name of Jesus; with which sacred word he expired a little after midnight between the 20th and 21st of June, the Octave of Corpus-Christi that year, 1591, being twenty-three years, three months, and eleven days old, of which he had lived five years and almost seven months in the society. 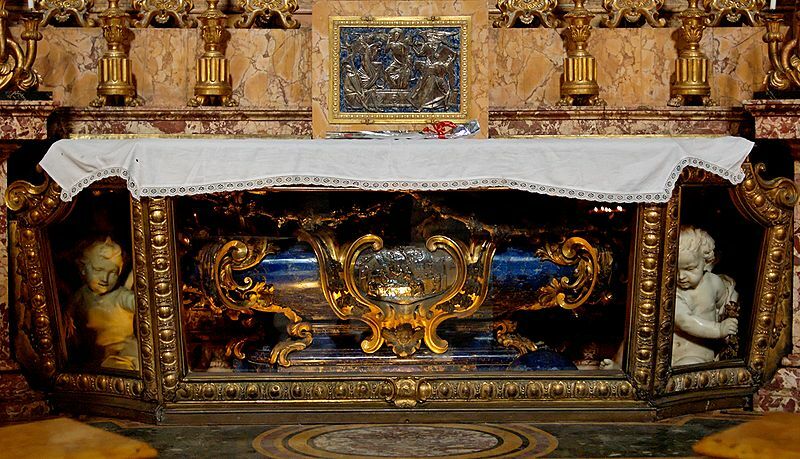 He was buried in the church of the Annunciation, belonging to the Jesuits of the Roman college. A rich chapel being afterwards built in that church under his name, by the Marquis Scipio Lancelotti, his relics were translated into it. St. Aloysius was beatified by Gregory XV. in 1621, and canonized by Benedict XIII. in 1726. 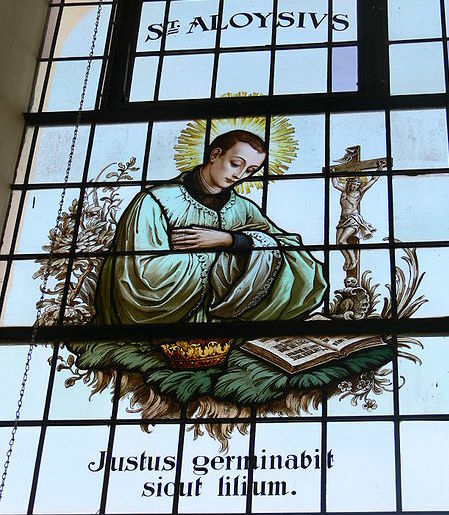 Ceparius gives a history of many miracles wrought through the intercession and by the relics of this saint, several being cures of noblemen and eminent prelates. A much more ample history of his miracles may be read in Janning the Bollandist in an appendix to the life of Saint Aloysius. Memento: When we see a young prince, the darling of his family and country, sacrifice nobility, sovereignty, riches, and pleasures, the more easily to secure the treasure of divine love, and of eternal happiness, how ought we to condemn our own sloth, who live as if heaven were to cost us nothing! From his life, written in the most authentic manner by F. Ceparius, his master of novices. See also other memoirs collected by farming the Bollandist, Junij, t. 4, p. 847, ad p. 1169, and his life in French by F. Orleans. It takes courage for anyone to abandon the world and join a religious order. It is a big sacrifice. Nevertheless, when this sacrifice is performed by a prince, it is objectively greater than when it is done by a commoner. The prince’s sacrifice is greater because his rank and heritage all but guarantee a brilliant, dazzling life crowned with prestige, recognition, and acclaim. From this perspective, one can say that the prince’s sacrifice is more pleasing to God than a commoner’s. 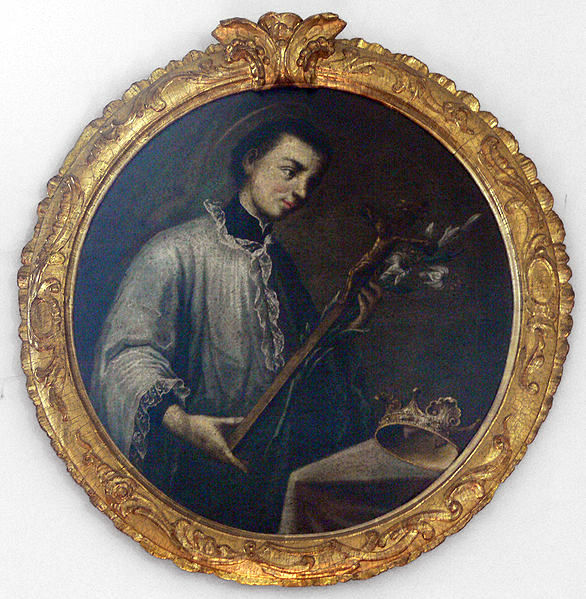 St. Aloysius Gonzaga turned his back on all the glamor and glitter of Court and joined the ranks of the Jesuits. However, as a canonized saint, his sacrifice stands as an example for History.